Training camps are done. Rosters are set. Leadership assignments announced. 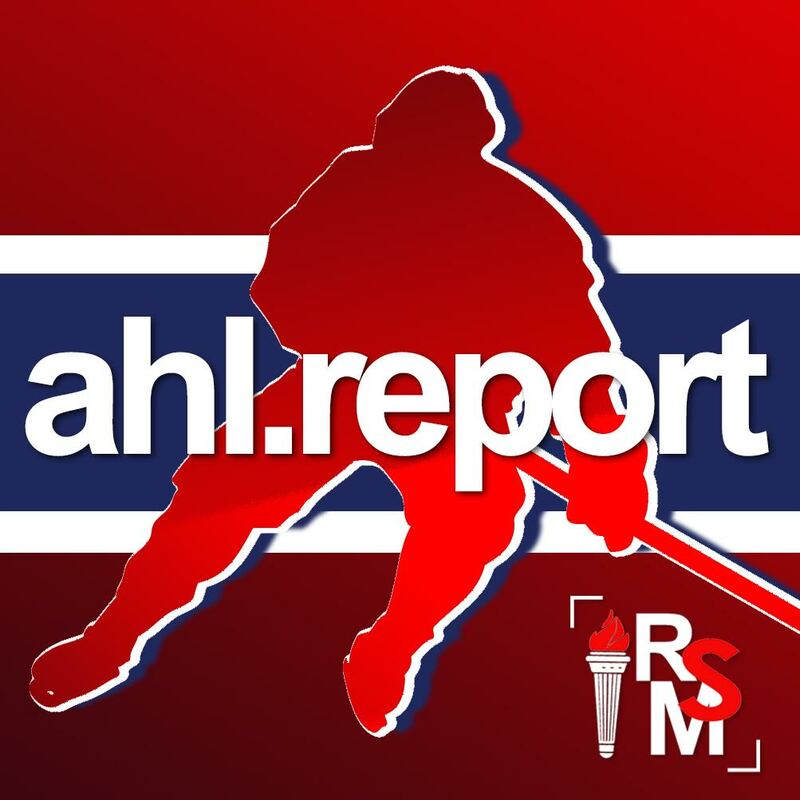 Saturday night marked the official opening of the 2018-19 for the Laval Rocket, and they kicked off this year’s campaign in Providence, Rhode Island to take on the Bruins. With just eight returning players from last year’s roster, the team taking the ice for Laval looked a lot different than fans are used to. And with a whole new set of faces behind the bench as well, it’ll be an interesting season ahead to see just what this new group can do. In the opening period, energy was high at both ends of the ice but the Rocket found the Bruins’ pressure points early on. They outshot Providence in the period but, despite getting a couple of very dangerous-looking chances on net, were unable to put a puck through Dan Vladar in goal. At the other end of the ice, Charlie Lindgren looked comfortable in his crease and only one puck found its way into the back of his net: a tipped shot by Mark McNeill about five minutes before the end of the period. More importantly, however, the Rocket energy seemed to deflate notably after the goal and the Bruins continued to put pucks on net. The second period brought plenty more shots on goal for the visiting team, but none of them got through Vladar. Michael Chaput, Alexander Grenier, and Lukas Vejdemo all had great chances in close to the net. 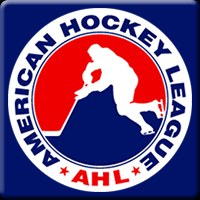 The Rocket didn’t look good four-on-four while Connor Clifton and Alex Belzile served a slashing and tripping penalty, respectively. They allowed a Providence three-on-one breakaway that thankfully disintegrated before the skaters could get within good firing distance on Lindgren. 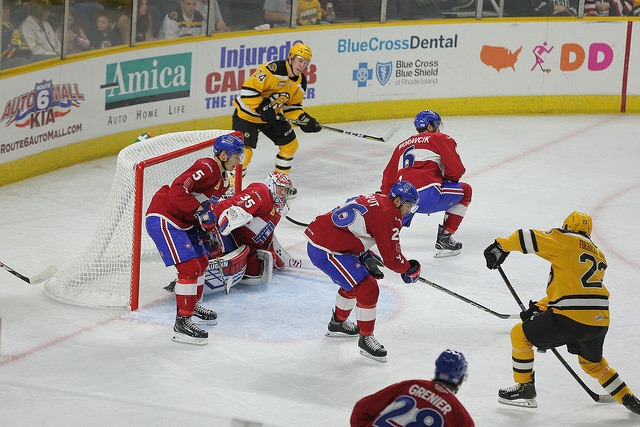 Providence opened the third period by adding another tally to their total when Jeremy Lauzon scored just 21 seconds in. Chaput put his mark on the night, however, when he fired a one-timer that found mesh and put the Rocket on the board finally. The Rocket goal-scoring continued when captain Byron Froese was able to bang the puck past Vladar with lots of traffic in front of the net. 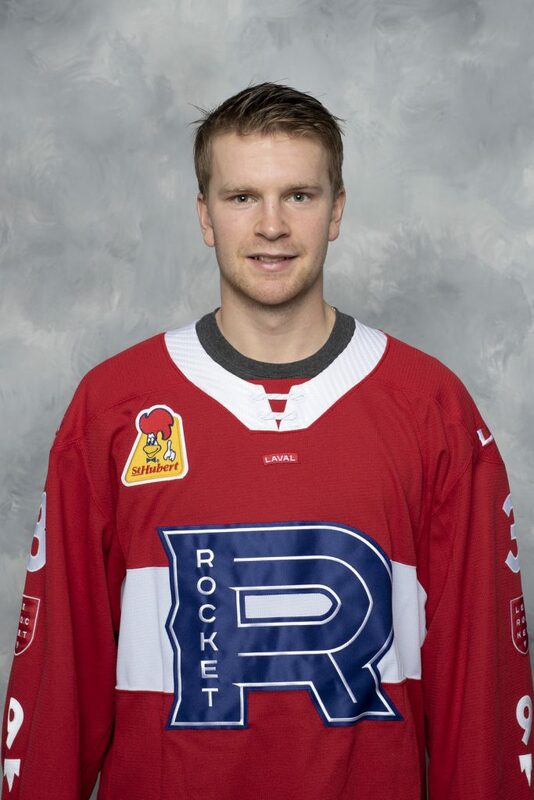 With just 35 seconds left in the game, newcomer Brett Kulak made the play to avoid overtime and give the Rocket a win on their first game of the season. They’ll have a short turnaround to get on the ice for an afternoon matinee in Hartford on Sunday.